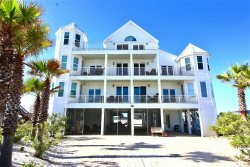 Book your next vacation in the popular Villa Lago community of Sandestin resort. With four bedrooms, a community pool close by, beautiful lake view, and 6 passenger golf cart, you'll have everything you need for your next beach trip. Upstairs bunk room: 4 twin bunks. Plus a sleeper sofa in the living room! The beach is less than a 5 min drive on the golf cart to the beach side of the resort. We provide a code for easy parking on the beach side. At the end of the day, take a bike ride on the resort or golf cart over to the Baytown Wharf Village for a huge playground for kids, zipline, nature trails, shops, and restaurants. Don't forget to check the calendar for the schedule of events from outdoor movies, live music, and fireworks! You are also minutes from the entertainment area of Grand Boulevard with a movie theatre, Publix, upscale restaurants, and shops. For an easy outing with kids, eat outside at Cantina Laredo while the kids play on the splash pad. We would love to help you plan your next vacation in this upscale condo with updated furnishings in the heart of Sandestin resort. Book online or call us at 334-703-4340. One twin bunk on top with sofa on bottom. Unit comes with a six seater golf cart. Resort:Sandestin Golf and Beach Resort is a unique and charming destination that has been voted the "Best" resort in Destin, Florida and the #1 resort on Florida's beautiful Emerald Coast.